Three Royal Air Force Hercules undertaking Transport support training at low level through the Scottish highlands. 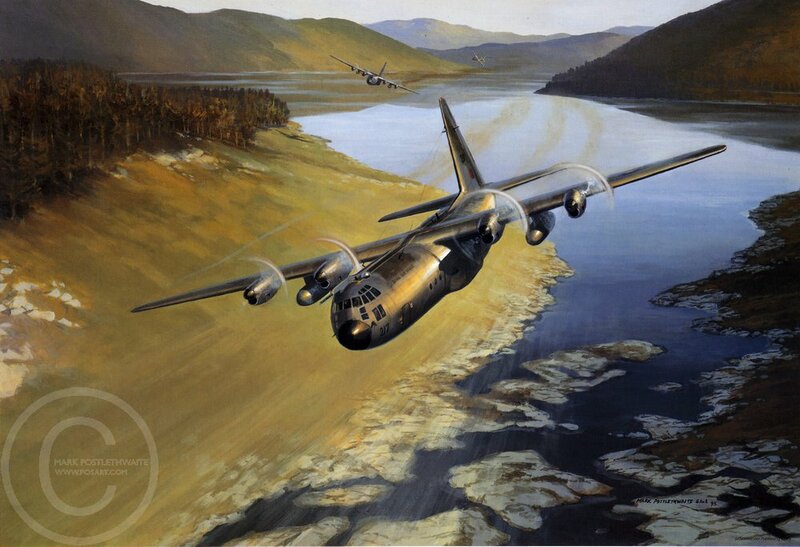 I spent most of the 1990s working with the Hercules squadrons based at Lyneham and was fortunate enough to spend many hours airborne in this wonderful aircraft. This original was commissioned for the Officers Mess and prints raised money for the local children's charities. I received 50 of the prints but never got round to posting them on my website until now!